Softening veins and arteries, jump starting the metabolism, rehabilitating joints and connective tissues, and strengthening bones. Sign up to get INSTANT ACCESS to our FREE instructional video taught by Sifu Michael Paler "10 Easy Tips for Healthy Knees"
Tai Chi originated in 12th-century China as a martial art among China’s Imperial Guard. It uses a combination of breathing, form, and meditation techniques to jump start a tired metabolism through, targeted conscious movements, strengthening and rehabilitating joints and connective tissues, rebuilding bones right down to the marrow. Massaging the internal organs through relaxed movement designed to get them to work more efficiently, and allowing its practitioners to live very well into their 90s. When people recognized the indisputable health benefits of Tai Chi, it began to “spread like grass” throughout China, and eventually throughout the entire world. Today, it is recognized as “cutting edge energy medicine” and many medical practitioners, particularly doctors, physical therapists and psychologists, recommend it because it improves both one’s body and mind through greater balance, flexibility, strength, and relaxation, as well as preventing and recovering from injuries and medical conditions. 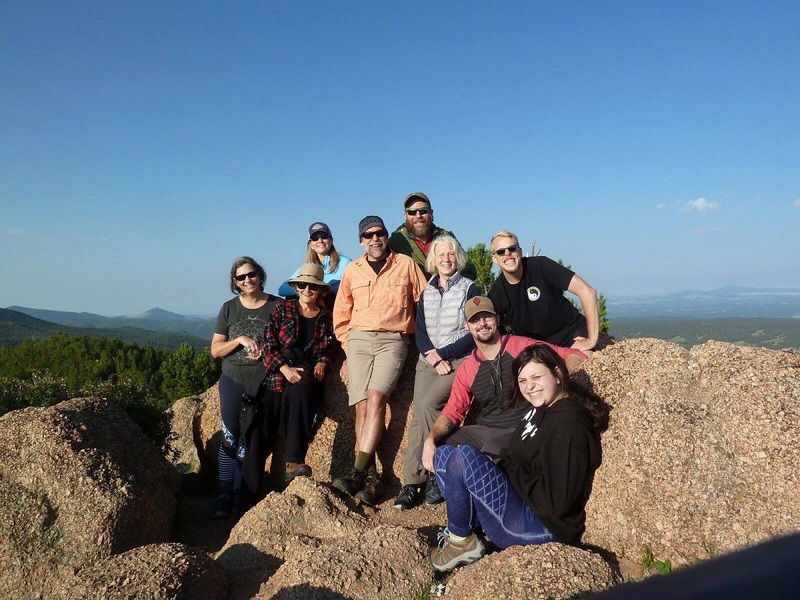 Our Tai Chi students pose for photo during a hike in last year’s retreat in the Colorado Mountains. As you can see, we have students from all ages and walks of life. Often described as meditation in motion, tai chi teaches you to step back and take a deep, calming breath…..and relax! As you gain muscle and mind control, your confidence will grow. Tai Chi helps you to understand yin and yang in the body, giving you a better understanding of your own personal space (your bubble), and also the ability to map out the space around you. Tai Chi can help reduce age-related cognitive decline, including a slowing of dementia, and according to a Harvard Health study it also can improve executive function—helping with the ability to manage time, make decisions and multitask. Of all the numerous benefits of Tai Chi, those best documented in the literature of medical studies indicate that older adults who do Tai Chi from one to three times a week are 43% less likely to fall, and they often cut their risk of injury in half! For people who are sedentary or very out of shape, Tai Chi may offer advantages over other types of exercise, even aerobic ones. Numerous clinical studies show that Tai Chi frequently lowers blood pressure and total cholesterol, reduces chronic inflammation, and tones the sympathetic nervous system. A growing number of clinical trials prove that Tai Chi offers significant relief from muscle and joint pain, arthritis, and fibromyalgia. In fact, research suggests that Tai Chi is better than any other exercise to relieve chronic pain with the added social component making it more enjoyable and fun than other exercises. Ready to get started and reap the benefits of Tai Chi? Jump into the full blown course! Begin your journey for better health and well-being through the power of Tai Chi with our online video course. Taught by Sifu Michael Paler, this program is fun and very easy to learn as our master instructor breaks everything down step by step and movement by movement. All videos are high-definition and designed to designed to enhance your overall health as well as your rehabilitative healing process from either an illness or an injury. grab the full retreat package now! Choose between Monthly or Annual Packages and get instant access to our library of training videos. Our Annual Packages Offer No Waiting for Videos to Release, Enjoy Full Access Privileges Right Away! 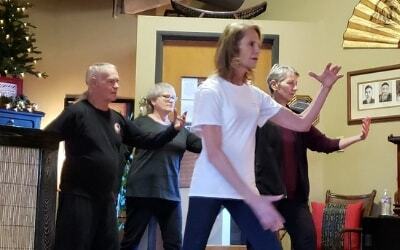 In this private Facebook support group we will answer Tai Chi questions, work on 100 day challenges, and encourage one another as we walk down this path of health and wellness together. 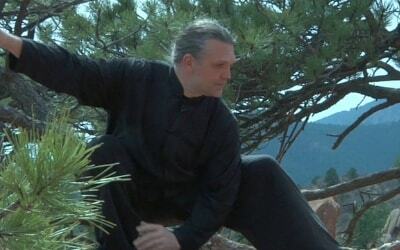 As members of Tai Chi Online Classes, you have a personal connection with Sifu Michael Paler. You can ask him any question that you want and he would be honored to help you personally in your path to enlightenment. This fun and easy to do course can change your life by changing your mind and body. Now you can study with a Tai Chi Master Instructor in the privacy of your home, office or anywhere. Gain better balance, have more flexibility, and learn once hidden insights into attaining the mind-body connection that leads to better health and more vitality. Optional (Not Required) – For those interested in Tai Chi Certification, year 1 of this online course covers all off the information required for Level 1 Certification. All of our training methods are designed to help you develop new levels of focus and relaxation for the purpose of achieving self-mastery. You will learn principles such as the Three Rings of Yang Jianhou and other training methods exclusive to the Yang Family. You will learn solo exercises including intermediate and advanced Forms training, Jibengong training, and more advanced 100-day Inner Door exercises. 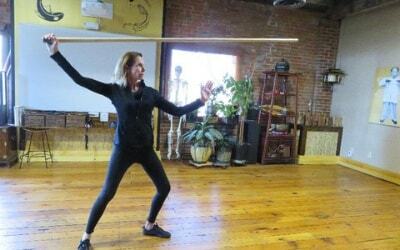 You will receive basic weapons training including Tai Chi Ball, Saber and Staff. You will learn two-person drills and exercises for Jin development, and so much more…. 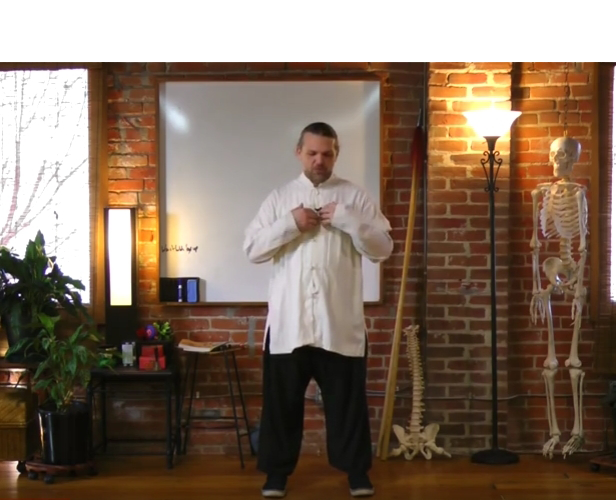 The Tai Chi Online classes with Michael Paler are awesome! It truly is like being in class with him in person. I never quite seem to get to class as many times as I want. Now I can queue them up when ever and where ever I am. Thank you, thank you for putting together such a priceless program. My quality of life just went up a notch or two. In over a decade of martial and longevity arts practice, I have trained with many, many teachers, and never one more knowledgeable, graceful, or of a more genuine lineage than Master Michael Paler. He is very patient and gentle, allowing for an efficient transfer of knowledge to his students. Michael has done an incredible job of creating a safe space that is welcoming to all levels of experience, regardless of whether one’s primary ambition is martial prowess or health and longevity. GABRIEL S.
Sifu Michael Paler, 7th Generation Lineage Holder of the Imperial Yang Family Tai Chi, designed these courses and will personally instruct you according to ancient teachings developed in China in the early 1800’s. Yang Style Tai Chi is the most popular, widely practiced form of Tai Chi in the entire world. In fact, Yang Style Tai Chi is the source for most modern styles of Tai Chi. Michael is known by his students to be a very kind, compassionate, and patient teacher. These qualities that have been transmitted down through 7 generations of lineage are now passed on to you, his students. Michael teaches how these qualities incorporate the balance and harmony between yin and yang, integrating the healing aspects with the martial attributes. 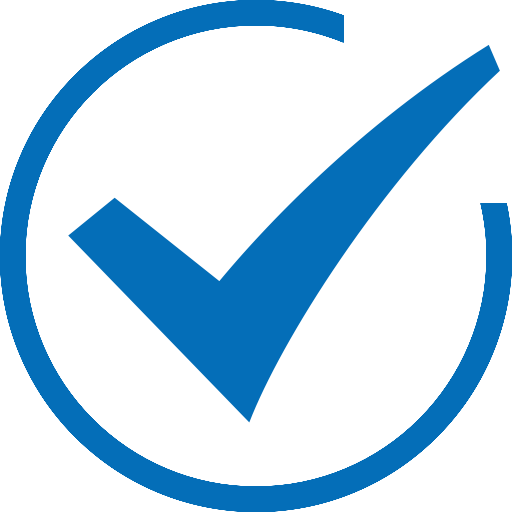 Choose the right membership plan for you! lifetime access - best deal!! !